What makes a lipid a lipid? 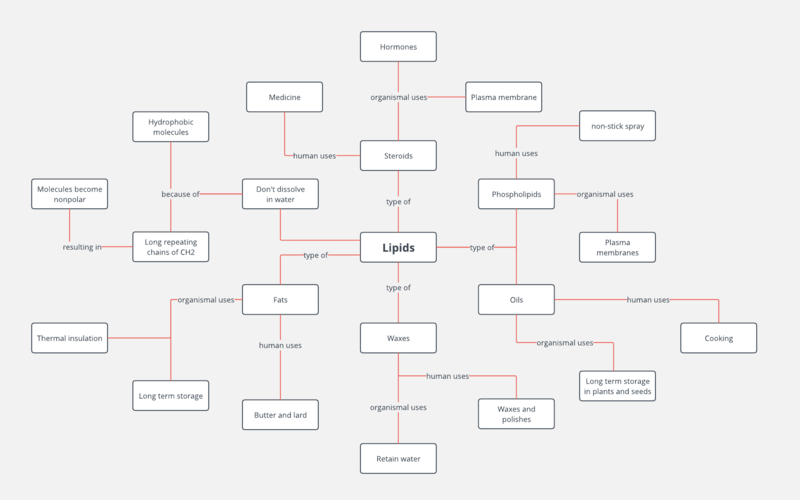 That’s the question answered by this lipid concept map, which shows the uses and types of lipids in an easy-to-read format. To edit this lipid concept map template, first register for a free Lucidchart account with just your email address. Afterwards, you can reformat it to get the look you want.